Greetings and salutations to you all. The day has arisen, that time of the year here in America that sees people flocking to the stores to try to find something for the holiday shopping season. Black Friday. Personally…..
You wouldn’t catch me dead going out to a store today no matter what the sale is. I don’t mind the internet sales because well… I don’t have to fight the mob. I have seen some people just go insanely crazy to get something like a waffle iron. No. Thank. You. In the spirit of I decided this year to offer up my entire…. read that right…. 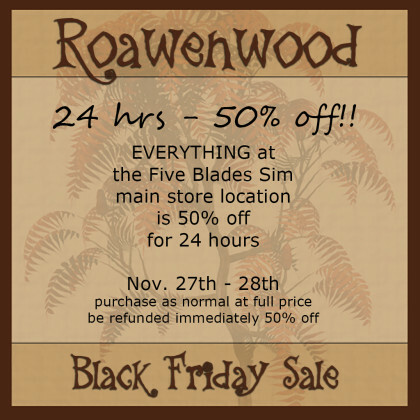 ENTIRE store inventory at the main store location at a 50% discount for ONE day. 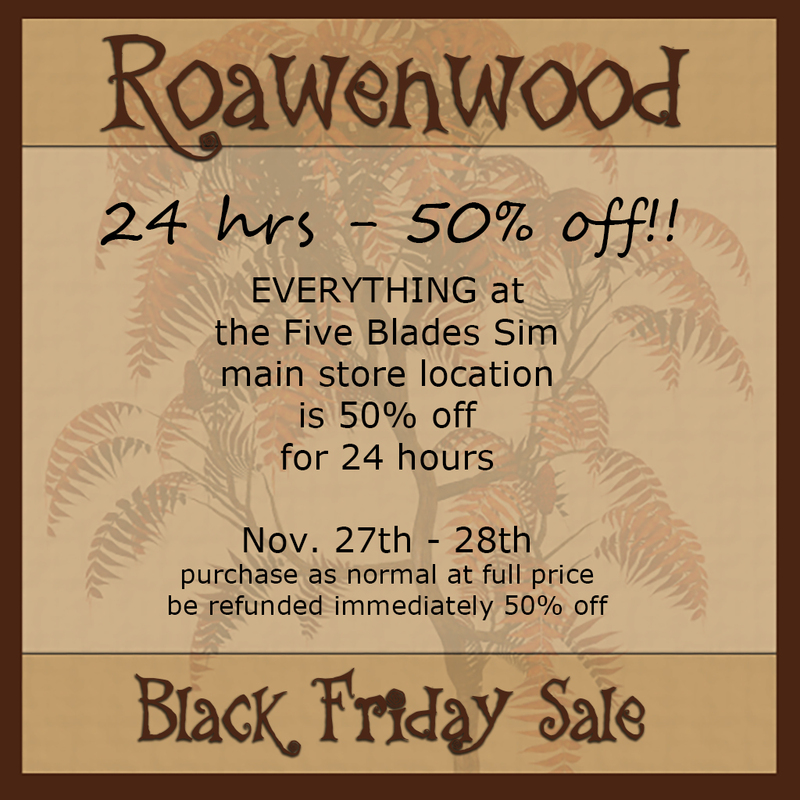 The ENTIRE Roawenwood line at the main store location on the Five Blades Sim. The vendors are set to give a 50% refund immediately so what you do is this. Purchase at full price…. trust me, and immediately upon purchase you will be refunded 50% of your lindens.